We are amongst the most reputed names in the industry, offering Chlorine Sensors. To furnish the diverse requirements of our clients in the best possible manner we are involved in offering an extensive range of Bench Portable Meter. We are the renowned Distributor, Importer, Retailer, Trader, and Supplier of the high-quality array of pH & ORP Sensors & Instruments, Conductivity TDS Sensors & Instruments, etc. We are in the liquid analysis for past 22 years. 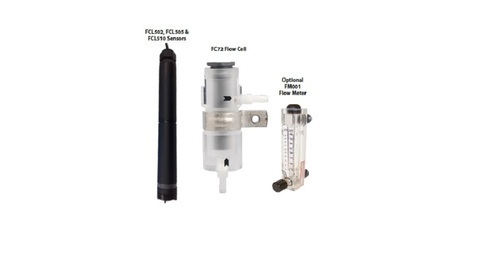 We have been engaged in Distributing, Importing, Retailing, Trading, and Supplying an impeccable quality array of pH & ORP Sensors & Instruments, Conductivity TDS Sensors & Instruments, Dissolved Oxygen Sensors & Instruments, Chlorine Sensors & Instruments, Retractable Housings, Industrial Analyzers, etc. These products are manufactured using high grade raw material and cutting-edge technology at vendors end. The offered range is highly demanded in the market for their features like ideal for unskilled operatives, solid-state sensors, no filling solution, virtually unbreakable, durability and high and low-temperature option.